By Krasner's campaign acknowledged it violated city law by accepting $11, 020 in excess in-kind contributions and failing to disclose them. Philadelphia District Attorney Larry Krasner. 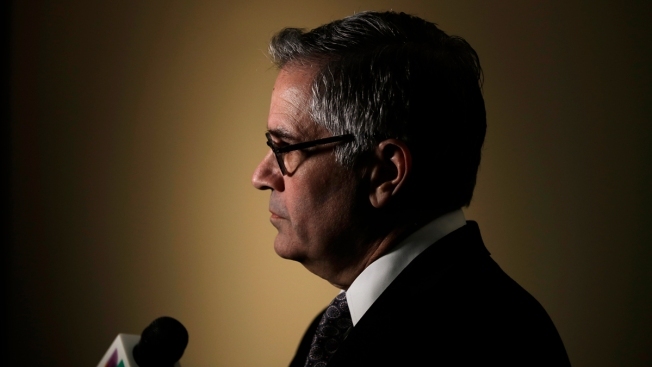 Philadelphia District Attorney Larry Krasner has agreed to settle with the city's Board of Ethics over a campaign finance violation. Krasner's campaign acknowledged it violated city law by accepting $11,020 in excess in-kind contributions and failing to disclose them. The Philadelphia Inquirer reports the settlement was announced Thursday and the Krasner campaign will pay a $4,000 fine and reimburse the city for the excess in-kind contribution from Real Justice PAC. Real Justice PAC has agreed to pay the city $8,000 in penalties. Krasner's attorney says he is happy to have it resolved. Under city law in 2017, a political committee could not contribute more than $23,800 to a candidate for district attorney either in direct donations or in-kind contributions.